E-PROPS is the only propellers manufacturer in the world to propose a guarantee "SATISFIED or YOUR MONEY BACK DURING 6 MONTHS". The customer buys a E-PROPS propeller (Aircraft range). He tries it during 6 months on the aircraft and on the engine initially planned. During these 6 months, the customer can change his opinion. Whatever the reason may be, the customer can send back the propeller and asks for his refund. - An amount of 100 euros is retained by E-PROPS as administrative fees. 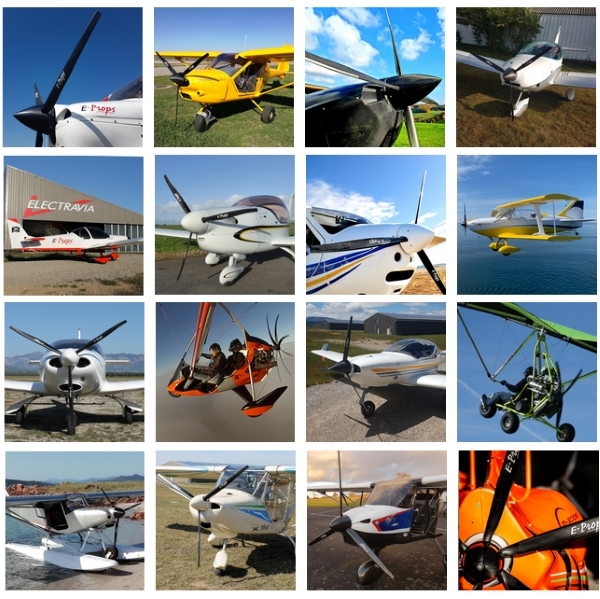 - This clause applies exclusively to E-Props propellers for aircraft / ultralights / LSA. This guarantee does not apply to E-Props for paramotors (PLUG'n'FLY and NG-D ranges). - The returned propeller shall be in good condition, clean, with all its accessories (screws, flange, drive lugs, digital protractor, covers, documentation...); damaged or broken propeller cannot be accepted with this clause. - The shipping charges are at customer's cost, including insurance of the parcel. - This clause applies only to one return per customer. - This guarantee applies only to the initial customer of the propeller. If this propeller is sold during this 6 months period, the clause "satisfied or your money back" would not be valid any more. - The "6 Months Satisfied or Reimbursed" is a contractual clause, which is detailled in the E-PROPS GENERAL CONDITIONS OF SALES. To propose such a contractual garantee since 2008, the E-PROPS team is confident of the performances and quality of its propellers !